Innovative By Design – Hand craftsmanship meets unparalleled engineering. 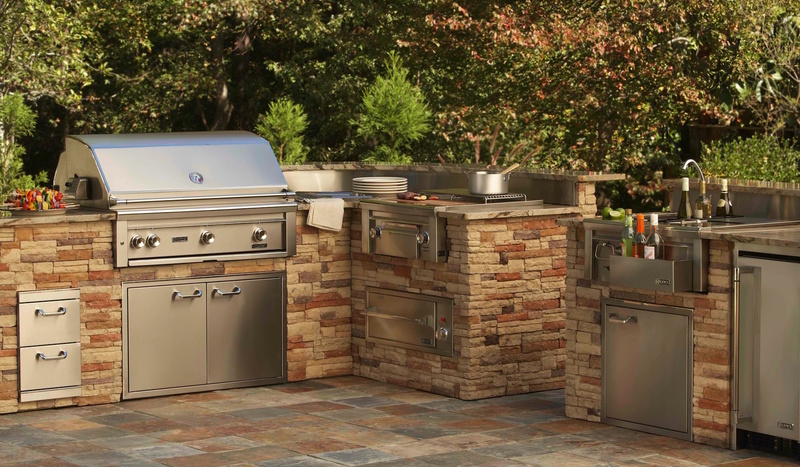 Lynx professional grills and outdoor kitchen components are the Cadillac of the outdoor kitchen industry. As we mentioned above, Lynx Professional Grills and outdoor kitchen components are high quality products. Lynx is one of the many superior grill brands that we sell here at BBQ Concepts of Las Vegas, Nevada. Lynx manufactures a complete range of high-performance grills that range in both size and cooking features. They also design a professional line of beautiful stainless-steel accessories for custom outdoor kitchens. Below you’ll find an introduction to some of these amazing grills. First, we’ll start with their newest product line. Outdoor kitchens for the modern home at a great price. Sedona products feature Durable stainless steel burners, ProSear1 variable infrared burners and professional grade stainless steel construction. Made in USA. The world’s only voice-activated, app controlled, intelligent gas grill. Choose from hundreds of recipes and SmartGrill will cook your food to perfection. Welcome to the future of grilling. Made in USA. View more information about the Lynx SmartGrill Series.